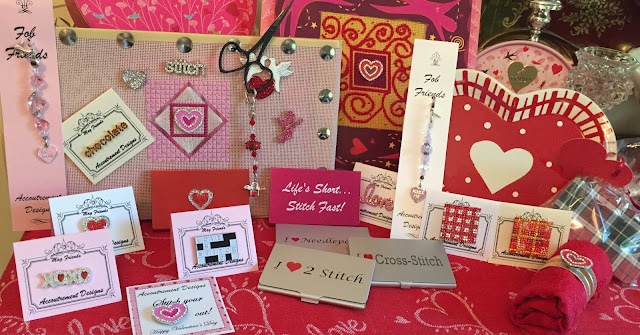 Fob Friends & Mag Friends: Happy Valentine's Day Stitchers! Available at fine needleart shops everywhere! Magnets have multi purpose uses. Seen here as canvas embellishments and on a napkin ring. They are wearable as a pin too. New Year - New Idea! It is year of the Monkey!